Without the Information and Communication Technology (ICT) industry, you wouldn’t be reading this right now. The various tools we use to write documents, take and view photographs, put things online and use social media are all designed and maintained by ICT professionals. The industry provides people with software, hardware and networking services to keep our technology working. ICT is an important part of the modern world: our cars use Bluetooth and GPS technology; our TVs can connect to the internet; our public spaces are covered by WiFi networks; and of course the places where we live, work and study are filled with technology. All this power (often in our pockets) doesn’t arrive from thin air – it needs people to design, build and maintain it. 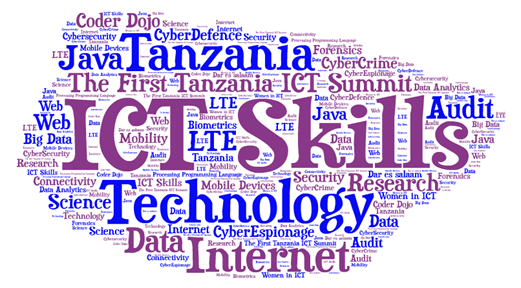 Careers in ICT can go in many different directions. If you choose the telecoms sector, for example, you could be working with the broadband, mobile phone and satellite communications networks that form the foundation of the information age. That might mean anything from helping customers get their home broadband connected to running diagnostics on an orbital satellite. Alternatively, you could be designing new software or apps, or perhaps creating websites for individuals and businesses. You might work for a search engine or social media company, or you might start your own: all it takes is one good idea, after all. As the world changes and technology gets more advanced, we’re relying on it more and more. That means it’s important to keep that technology safe, so you might pursue a career in ICT security, helping to block viruses, protect data from hackers or advise companies on how to keep their systems secure. We’re also using and storing more and more data. Things like cloud computing services and roles looking for patterns in the tides of data on the internet are only just getting started – the future could be very exciting, and you could be a part of it. Being good at maths, physics or computer coding are all useful skills in this industry, but there are many other attributes that employers value. Creative thinking and problem solving, for example, or working well with other people; or perhaps a real passion for innovation and keeping up to date with the latest thinking in your field. Qualifications like apprenticeships are all about taking your raw talent and the things that interest you – whether it’s games, apps, mobile technology or anything else – and helping you put them to good use. You’re at a huge advantage because you’ve grown up with the internet and computers, unlike many of the people at the top of big companies. So get qualified, and show them what you can do. In addition, there are higher level and management roles, and even careers in the security services (MI5 and MI6) – although details about specific roles are kept secret, unsurprisingly. You’ll need to apply to the service to find out more (try not to do a James Bond impression). To begin your search for apprenticeships and jobs in the industry head to careermap.co.uk. You can also visit the Tech Partnership, a new site created by employers. It will tell you more about the industry itself and give you some idea of what it’s like to work in ICT. Offering a mix of on-the-job learning and college-based study, apprenticeships are an increasingly popular way of getting into the industry. They can even be a viable alternative to the university route, offering degree-level qualifications. As well as gaining a nationally-recognised qualification apprentices are paid while they study, which can make an apprenticeship even more tempting. Plus, a high percentage of apprentices in the ICT industry stay with their employer once the apprenticeship ends. To give you an idea of how vital ICT is to almost every business operating in the UK, employers involved in ICT apprenticeships include 02, BT, Google, Royal Mail, Asda, the BBC and Network Rail. There are lots of opportunities out there – these are just the tip of the tech iceberg. A level two apprenticeship takes two years to complete, then you can continue for another year to achieve level three. Level four is designed for those aiming for senior technical or management careers. There’s also a new Degree Apprenticeship on offer from some employers, which will allow you to gain a degree while working as an apprentice, so at the end of the process (which takes at least three years) you’ll be as qualified as a uni graduate, but with no debt from tuition fees. See thetechpartnership.co.uk for more information. Ready to move fast? You’d better be because this is a rapidly changing industry. You’ll need to be prepared to work hard to keep up, but the good news is that you could be at the cutting edge of the tech industry – pretty soon, people might be working hard to keep up with you. Everyone – individuals, companies, even pets with microchips – uses technology differently, which means that the same job role can vary hugely between employers. You might well be working in an office and using computers, tablets and so on all day; or you might be out in the field installing software or helping a business put in a new network. Once you join your employer you’ll spend some time getting used to their systems and how everything works. You’ll also learn about the people you’re with, how the team gets along and what it’s like to work long hours while studying in your spare time and also at college. It can be a delicate balancing act, but it means you get a student experience and a work life, and you get paid as well.